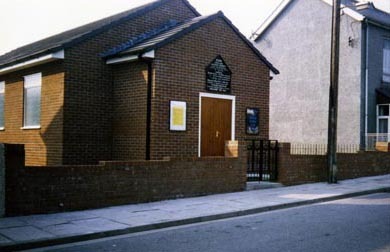 The English Baptist cause began in May 1899 when a group of men and women met at the home of the Bound family in Foundry Road for “Prayer and Guidance”.The group soon came to the decision to found the Baptist Church. Their first services were held in a room at the back of the Beehive Public House on May 28th 1899. Work soon commenced to build their own church on a site in Foundry Road. Zion Church was completed and the opening service was held in February 1900. The original building was a wooden structure covered in galvanized sheeting and stood for over 85 years. 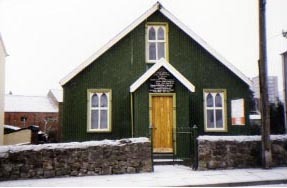 The Church was affectionately called “Zion-Zinc”.